Everyone deserves a shot in the SPOTLIGHT every now and then. 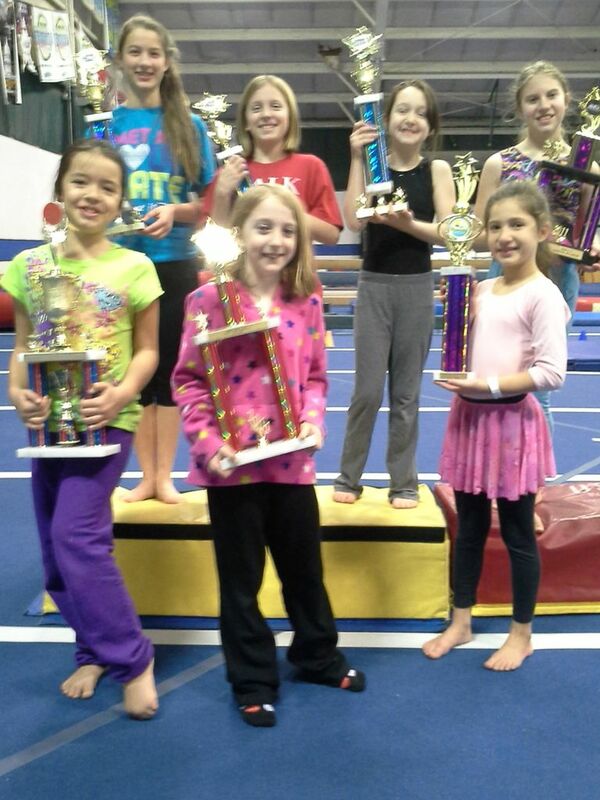 1st Class Gymnastics Academy likes to recognize those individuals that have worked hard and accomplished some of their goals. The gymnasts work very hard on their goals ...Each month we SPOTLIGHT a class gymnast(s) and a team gymnast(s) both on our website and in our gym (in our newsletter). Check it out! It has been increasingly difficult to choose students for the SPOTLIGHT for both the newsletter and the website for 1 main reason...we have had too many students learning too many skills!!!! Frankly, I couldn't ask for a better problem to have. Therefore, I am going to try another alternative for awhile for this "problem". I will be giving out Achievement ribbons for all new skills learned for the next few months and we'll see how that goes. To qualify for a ribbon, the skill will have to be repeated for 2 weeks straight until we know it is mastered. So keep up the good work and I look forward to giving out a lot of ribbons to a lot of students!!! The team will also be eligible for these Achievement ribbons. Often, working for a new skill on the team level can take much longer to achieve compared to previous years in classes when new skills seemed to come more often. Some skills can take a year or more to learn and can be very frustrating. It takes a lot of patience and drive to keep trying the same skill week after week, month after month and I would like to recognize these things. A meet doesn't always "reward" the skill. I would like to do that. So keep at it and soon you will be rewarded in more ways than one! !